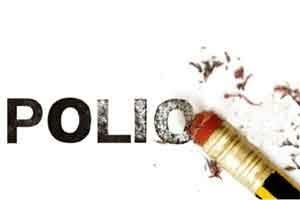 ISLAMABAD: Pakistan and Afghanistan have reported the first cases of polio for the year 2016, a media report said. In Pakistan, the case was confirmed by Polio Virology Laboratory at the National Institute of Health, Dawn online reported. An official of the ministry of National Health Services said the sample collected from a 34-month-old in January confirmed that the child had the onset of polio. Resident of Gadap town in Karachi, he had received two doses during routine immunisation and seven during different polio campaigns. “Malnutrition was the major reason of the disease because immunity level of the child was very low,” the official said. A total of 54 cases of polio were reported in Pakistan in 2015. The official said the affected child in Afghanistan was 60 months old. He had received only two polio vaccines. “The child belongs to Kandahar. According to reports at least 80,000 children in Afghanistan were missed during last few campaigns,” he said. Pakistan and Afghanistan are the only countries in the world which have been transferring the polio virus to each other. The main reason is that the two countries share a 2,500km long border. Children are vaccinated at legal entry points of the border but since Pakistan is hosting 1.6 million Afghan refugees, a large number of people cross the border illegally from different routes and it is not possible to vaccinate them at the border.